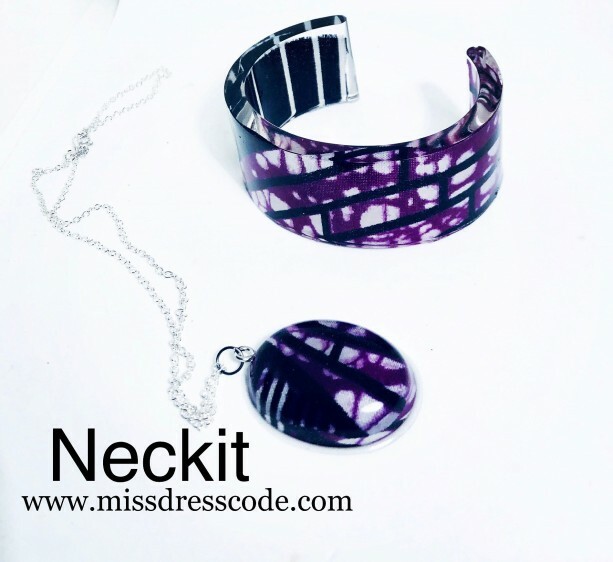 Beautiful purple themed fabric nestled in transparent resin. Sterling silver chain measures 19” with 1 1/2” oval shaped pendant. Cuff bangle is 7” with 1 1/2” opening. So gorgeous....so unique!